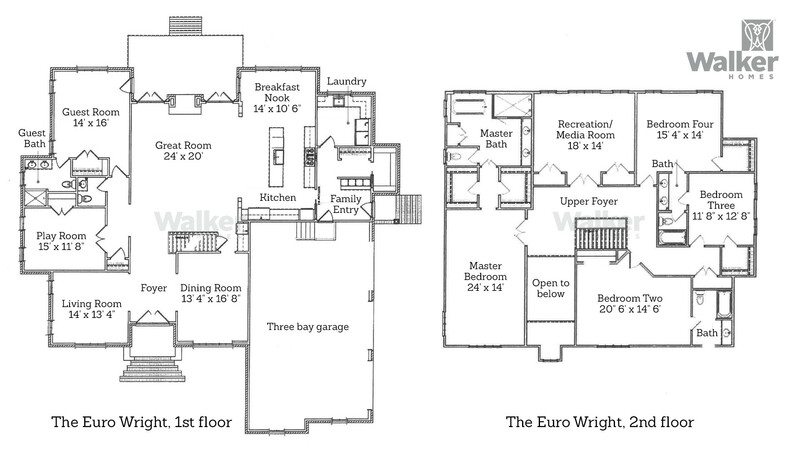 There are two versions of this home’s floor plan: The Wright and The Euro Wright. 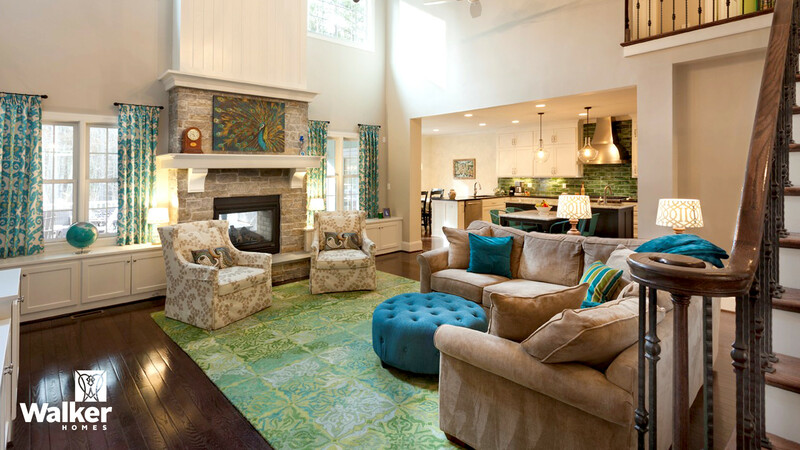 Both include a dramatic two story entry showcasing arched entries into the Dining and Living Rooms. A center stage is a Kitchen and eating area that opens onto a two story Great Room with a stone fireplace and a dramatic staircase. 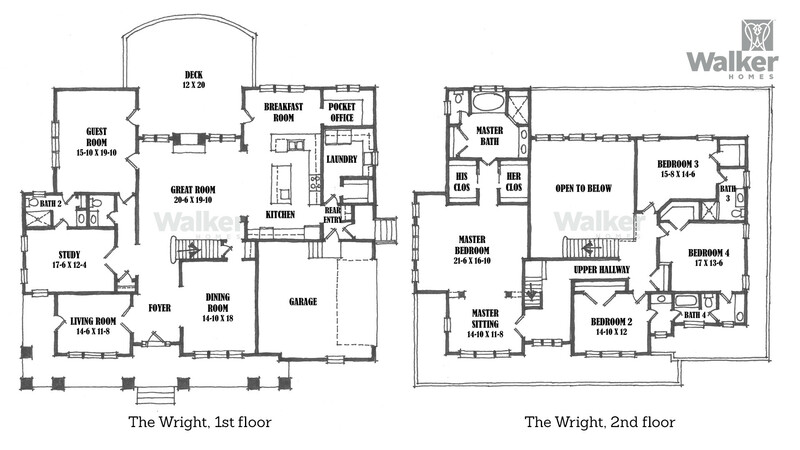 This version of the Wright’s Great Room is two stories tall and features a fireplace, built in cabinets, a dramatic staircase, and a second floor Foyer. 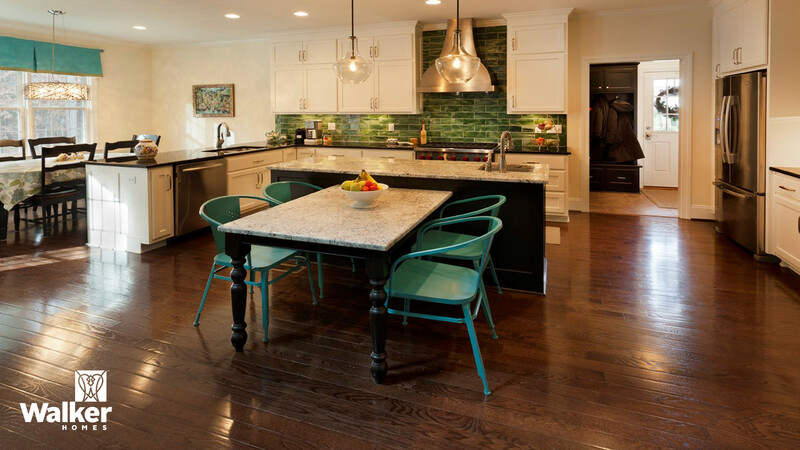 This version of the Wright’s Kitchen features an island with a table for gathering and for kids who like to help cook. The 52 inch cabinets were designed to stretch to the top of the nine foot ceiling and we added a unique, custom made chimney-style hood over the stove. (Left) The Wright’s Foyer. 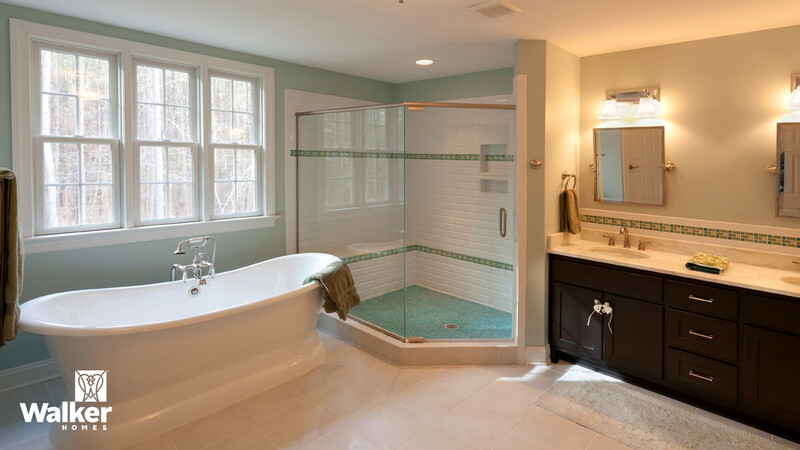 (Center) A Master Bath slipper tub. (Right) The Laundry. 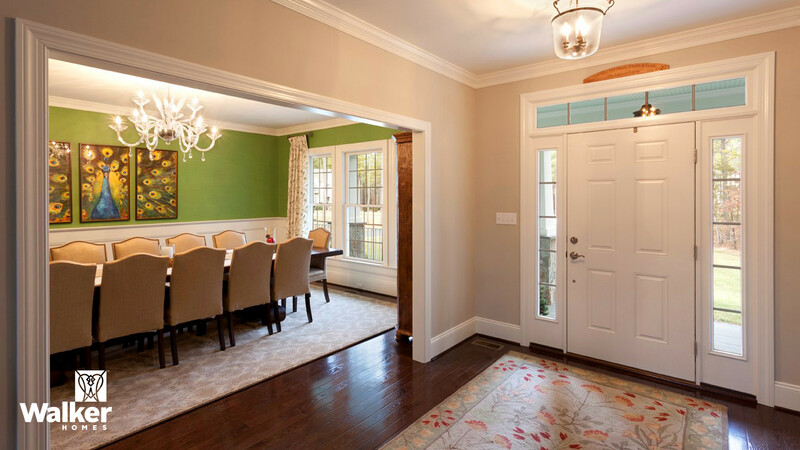 This version of the Wright’s Dining Room is large enough to accommodate a table that seats 14. 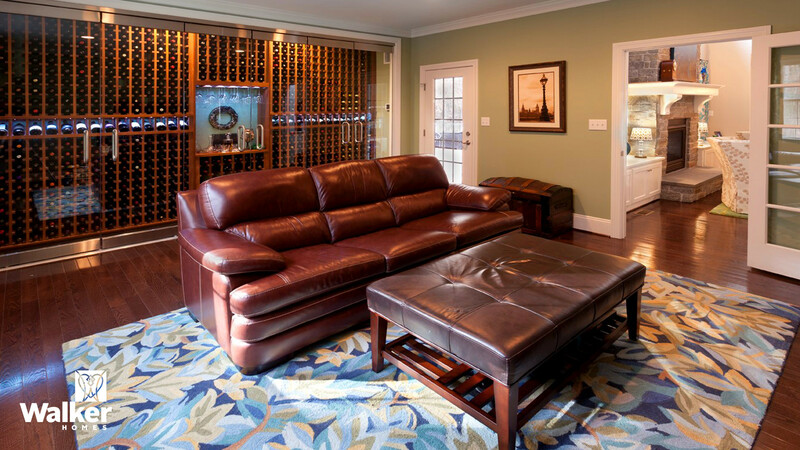 This client chose to include a fully-equipped Wine Tasting Room complete with cabinets that control the space’s temperature and humidity. Some clients choose to use this space as a Guest Suite or Playroom. 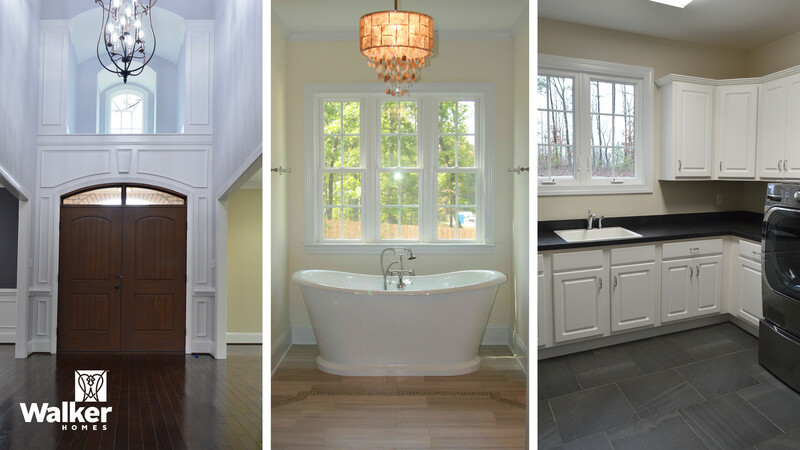 The Master Suite Bath features a free-standing slipper tub and semi-frameless shower. 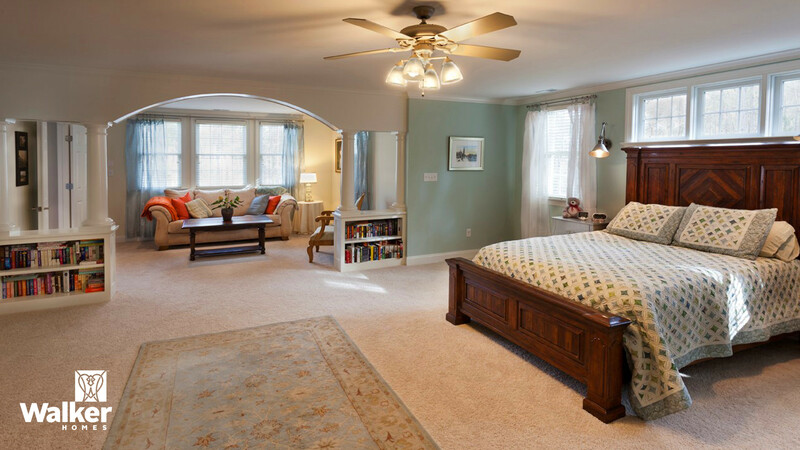 The spacious Master Suite has it’s own separate sitting areas with a distinctive archway and built in bookshelves. 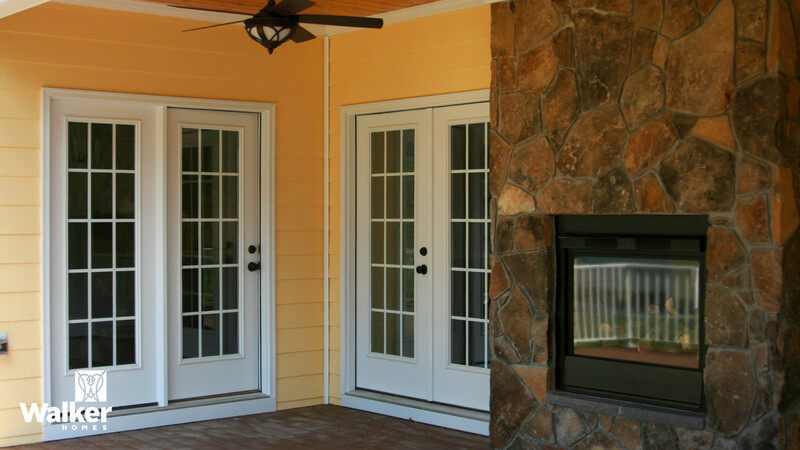 Are you interested in enjoying your outdoor spaces in cooler seasons? We can extend the fireplace in the Great Room so it can be enjoyed from the back Porch.